Cruise the neighborhood in style with this Cars 3 Lightning McQueen Ride On for Only $89 Shipped! (Reg. $150). 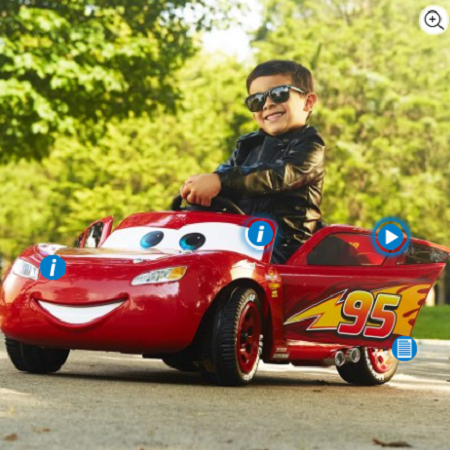 The Huffy 6V battery-powered ride on brings Disney/Pixar’s Lightning McQueen to life. Flashing lightning bolts, working headlights, great car sounds and the bold designs of Disney/Pixar’s “95” Lightning McQueen race car combine for racing fun, sidewalk-style.